Answering Dutch Parliament members over the ongoing Turkish operation, Dutch Foreign Minister Halbe Zijlstra said the operation should not be seen as Turkish-Kurdish conflict and the YPG was not "innocent." "There were clear attacks against Turkey. The Dutch government has never supported the YPG and there are strong ties between the YPG and PKK, which is recognized as a terror group by both the Netherlands and the EU." Zijlstra said the necessary talks with Turkey are underway regarding the operation, underlining that the military offensive was legal. "It would be wrong for us to judge Turkey," he said. 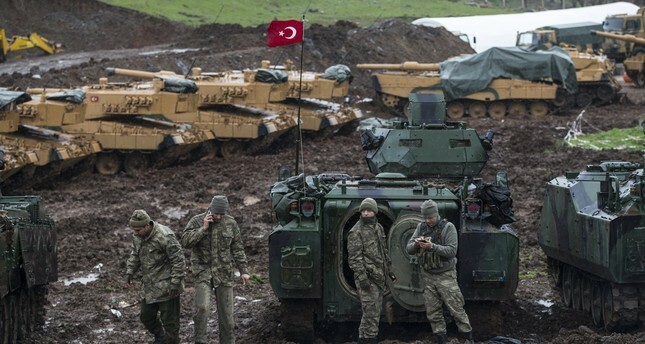 On Saturday, the Turkish military launched an operation on Afrin to clear its border of the PKK's Syrian affiliate Democratic Union Party (PYD) and its People's Protection Units (YPG) militia to prevent them from establishing an autonomous region, which Turkish officials call a "terror corridor," by connecting the northwestern Afrin canton to the Kobani and Jazeera cantons to the east. Erdoğan said that Turkey will continue the operation and eliminate the terrorists from the region in order to ensure the country's national security. He recently said: "We will take control of Afrin as we did in the Syrian towns of Jarablus, al-Rai and al-Bab, and Syrians will be able to return home." Erdoğan has repeatedly said that Turkey does not target the Kurdish people, but is aiming to clear the terrorist from the region. The operation is expected to pave the way for providing a secure environment to return Syrians to their homes.